Huh. I mean, it’s better than Paul W.S. Anderson. 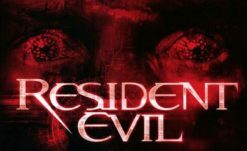 Reported by Variety, The Strangers: Prey At Night and 47 Meters Down director Johannes Roberts will be helming James Wan’s Resident Evil film reboot. Both directing and writing (I guess they either tossed Greg Russo’s script or Roberts will be working on a new draft of it), Roberts comes from a history of horror films. Admittedly, I never saw 47 Meters Down and I uh… despise the Strangers films, but I will admit that the slower pace and emphasis on ambiance from those makes me hopeful for the tone of the new RE film. We, of course, have no way of knowing how all this will pan out, and at the moment we don’t even know what the new film will be about. Fans have been back and forth on whether it should be a direct adaptation, a new story set in canon, or just throw it all out the window. Personally, I’d love a straight adaption of RE1, but I doubt something that slow and methodical would come out of the house that made Silent Hill: Revelation. However, with The Conjuring‘s James Wan attached to produce, I’m at least a tiny bit hopeful. The film is being fast-tracked to begin production in 2019, meaning it will probably release early 2020. Fingers crossed that no matter what it is, it isn’t as awful as the last few live action films, or the shockingly bad Resident Evil: Vendetta animated film.